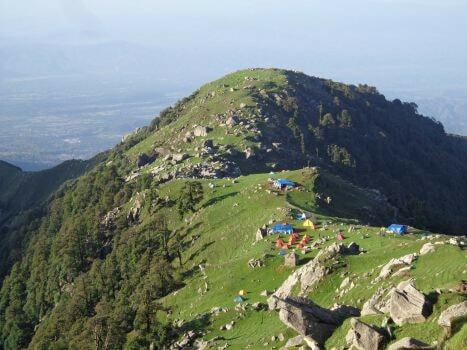 Whether you’re camping by a lake, rented home in an apple orchard, staying in a hotel on the busy lanes of a Mall Road or living at a Home Stay accommodation at a remote hamlet, just about every destination in Himachal offers the possibility of day hikes, where you may leave in the morning and return by evening. These short walks may not require elaborate gear needed for longer treks, but certain basic things may be kept in mind—wear a comfortable pair of shoes and if you are taking one of the more rugged paths, then something with a good grip on the ankles is recommended. Carry water and a little snack, an umbrella or raincoat is recommended, especially during the monsoons. Also be prepared for little drop in temperature after sundown and wear or carry suitable clothes. Sunscreen lotion, dark glasses and headgear are optional. On the nature rambles do not leave the trail or spur, unless you are very sure of where you are going – distances and directions can be deceptive, it is suggested to take services of a guide.